In a SOC I matchup, New Boston (10-4, 7-2 SOC I) broke the century mark, beating East 106-57. In the win, Tyler Caldwell set a school record with 10 3-point field goals, scoring 41 points in total. Caldwell also scored his 1,000th career point in the victory. Kyle Sexton assisted Caldwell’s efforts with 32 points of his own while Grady Jackson had 17. For East (1-10, 1-8 SOC I), Kyle Flannery had 25 points while Will Shope added 15. New Boston: 42 FG, 6-15 FT, 16 3pt. (Caldwell 10). Scoring: Caldwell 41, Sexton 32, Jackson 17, McKinley 9, Branham 3, Comer 2, Potts 2. East: 23 FG, 4-8 FT, 7 3pt. (Flannery 6). Scoring: Flannery 25, Shope 15, Smith 9, Coyle 4, Winston 2. The Titans (1-12, 1-8 SOC I) picked up their first win of the season Friday with a three-point victory over Clay. Leading the way for Notre Dame was Jackson Clark and Ben Mader, who both scored 24 points. For Clay (5-8, 3-6 SOC I), Reece Whitley scored 26 points while Mason Newton added 11. Notre Dame: 21 FG, 10-16 FT, 7 3pt. (Mader 3). Scoring: Clark 24, Mader 24, Harrell 5, Nichols 5, Kammer 1. Clay: 21 FG, 3-6 FT, 7 3pt. (Whitley 6). Scoring: Whitley 26, Newton 11, Malone 5, Dodds 4, Mathias 4, Cottle 3, Hudson 2. With a slim win over Green Friday night, Eastern (13-1, 9-0 SOC I) stayed on top of the conference standings. Hunter Cochenour led the Eagles with 14 points, Michael Miller added 12, Evan Leist finished with 12 points and Cody Weaver added nine. The Bobcats (9-6, 5-4 SOC I) were led by Tanner Kimbler’s 22 points, followed by Gage Sampson’s 10. Eastern: 19 FG, 11-20 FT, 3 3pt. (Cochenour 2). Scoring: Cochenour 14, Miller 12, Leist 12, Weaver 9, Clemmons 5. Green: 20 FG, 2-4 FT, 6 3pt. (Kimbler 4). Scoring: Kimbler 22, Sampson 10, Carver 6, Blizzard 5, Huffman 5. 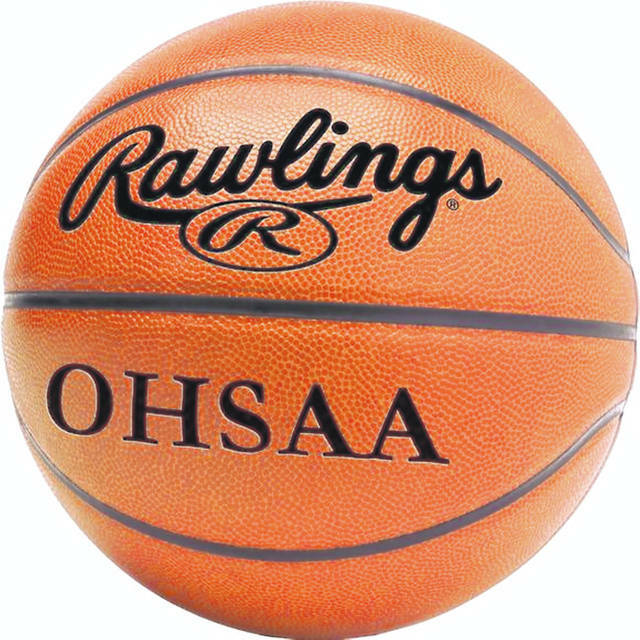 The Indians (12-3, 7-2 SOC I) suffered a setback against Symmes Valley Friday evening, falling to Symmes Valley, 64-62. Leading Western statistically was Alex Humphrey with 28 points on five 3-point field goals. Maverick Ferneau added 12 points to the Indians’ total as well. Western: 20 FG, 13-24 FT, 9 3pt. (Humphrey 5). Scoring: Humphrey 28, Ferneau 12, Jordan 9, Brewster 6, Richardson 4, Gibson 3. Symmes Valley: 22 FG, 17-30 FT, 3 3pt. (Scheler 2). Scoring: L. Leith 22, J. Leith 17, Scheler 14, Ferguson 4, Carpenter 3, Turner 3, Smathers 1. In a non-conference battle, the Jeeps (6-8, 4-5 SOC II) topped Valley Friday behind Tanner Voiers’ 19 points. Shiloah Blevins also chipped in with 17 points. The Indians (5-10, 3-6 SOC II) were led by Tanner Cunningham with 11 points while Andrew Shope added 10. South Webster: 24 FG, 9-12 FT, 9 3pt. (Voiers 3). Scoring: Voiers 19, Blevins 17, Bockway 8, Smith 5, Zimmerman 5, J. Ruth 4, Holstein 3, Keller 3, G. Ruth 2. Valley: 12 FG, 16-18 FT, 5 3pt. (Cunningham 2). Scoring: Cunningham 11, Shope 10, Zaler 8, Clark 4, Greathouse 4, Fell 3, Ellis 3, Holbrook 2. Nathan McCormick’s game-winning 3-point field goal gave the Falcons (5-8, 4-4 SOC II) their fifth win this season. Kelton Kelley led the way for Minford with 15 points, Elijah Vogelsong-Lewis had 13, Darius Jordan had 12 and Cameron Dalton had 12. For West (6-6, 3-5 SOC II), Jesse Johnson scored 22 points, Dylan Bradford had 16 and Nick Davis finished with 12. Minford: 21 FG, 14-22 FT, 7 3pt. (Jordan 3). Scoring: Kelley 15, Vogelsong-Lewis 13, Jordan 13, Dalton 12, McCormick 8, Coriell 2. West: 22 FG, 10-16 FT, 7 3pt. (Johnson 3). Scoring: Johnson 22, Bradford 16, Davis 12, Norman 4, Bower 4, Cox 3. The Trojans (6-7, 2-5 OVC) suffered a loss to Ironton Friday, falling by a 17-point margin. Matthew Fraulini had 20 points for Portsmouth while Danny Lattimore added 18. Miles Shipp also chipped in with 10 points. Portsmouth: 23 FG, 7-10 FT, 3 3pt. (Fraulini 2). Scoring: Fraulini 20, Lattimore 18, Shipp 10, McKinley 6, Roe 2. Ironton: 29 FG, 8-10 FT, 7 3pt. (Wilson 4). Scoring: Wilson 26, Large 12, Grizzle 11, Careier 8, Barnes 8, Millison 8.